There are a few things that I feel every room or home must have. These are items that tie rooms together, or are just so great and multifunctional they are a must have. My first must have are pouf ottomans. I am in love with these items. They can be moved to many different places in the room and can be used as both seating and a foot rest. 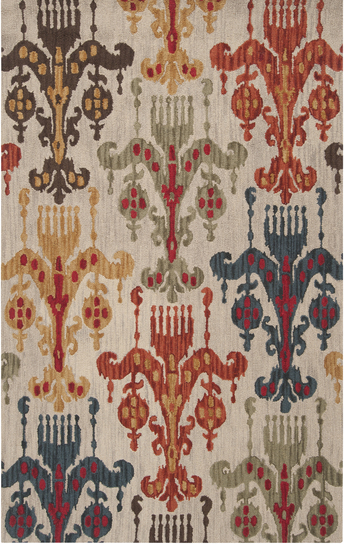 They can be done in all different kinds of fabrics and textures which add color and depth to the room. 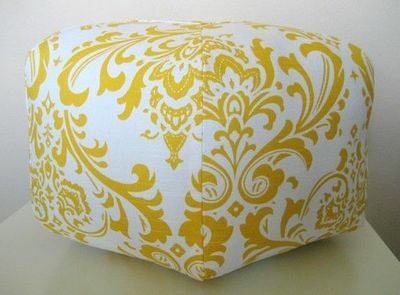 This traditional pouf is great for that sophisticated room. 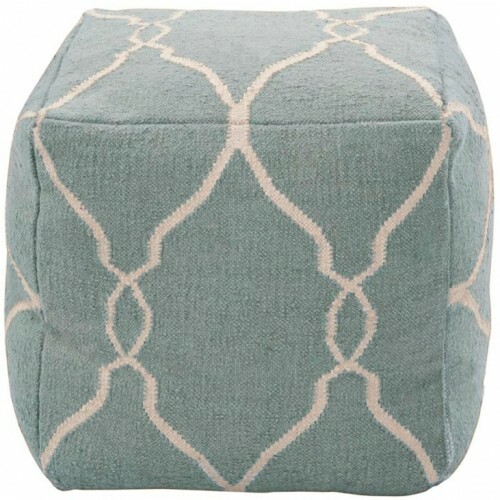 This transitional pouf can be used in either a casual or formal room. 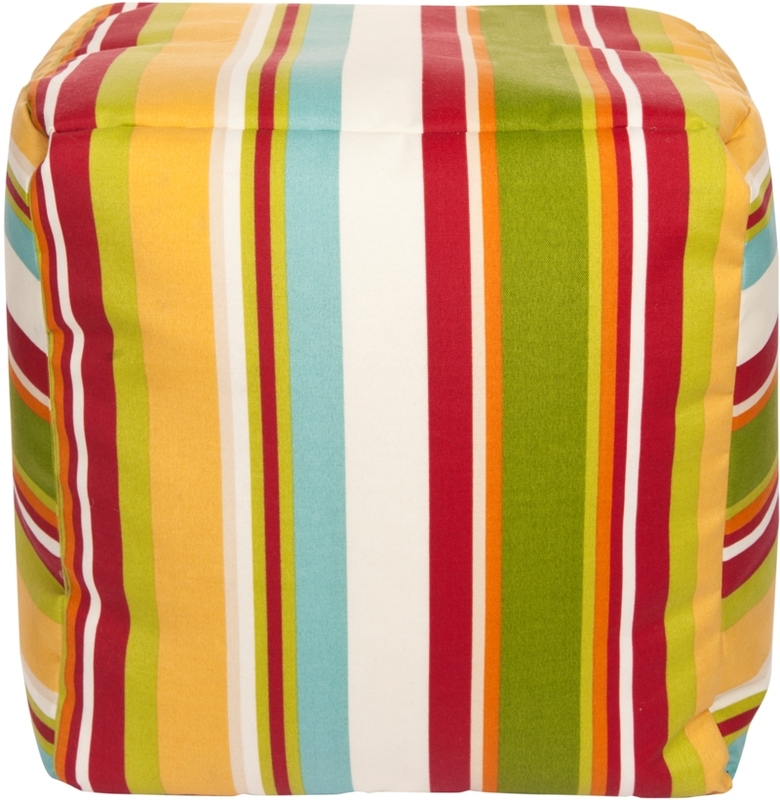 This is a great pouf for a fun colorful room. 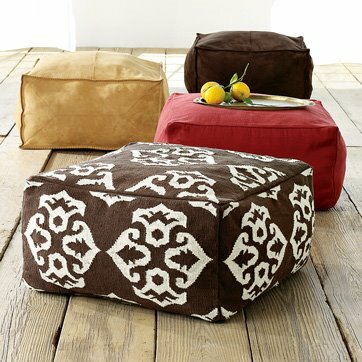 Rectangular poufs in many different colors for great casual seating. The second must have for every room is a touch of black. Every room can benefit from at least one item with black. This can be a table, a lamp, accessories, or a painting. The depth that the black adds to the room will tie it all together. 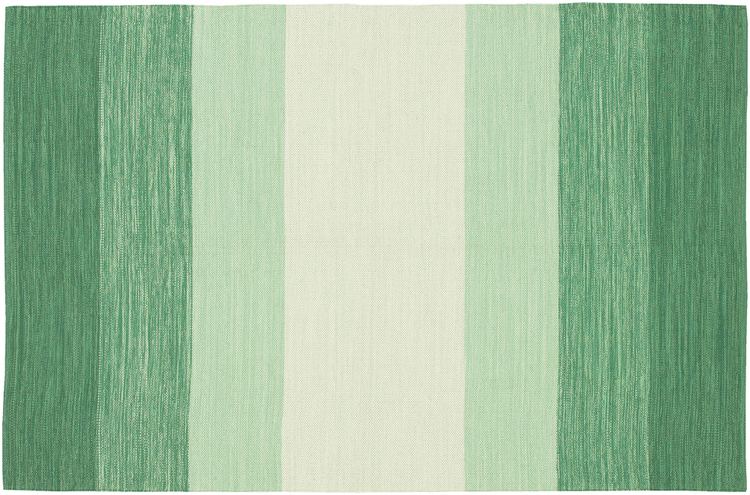 And my third must have for every room is an area rug. 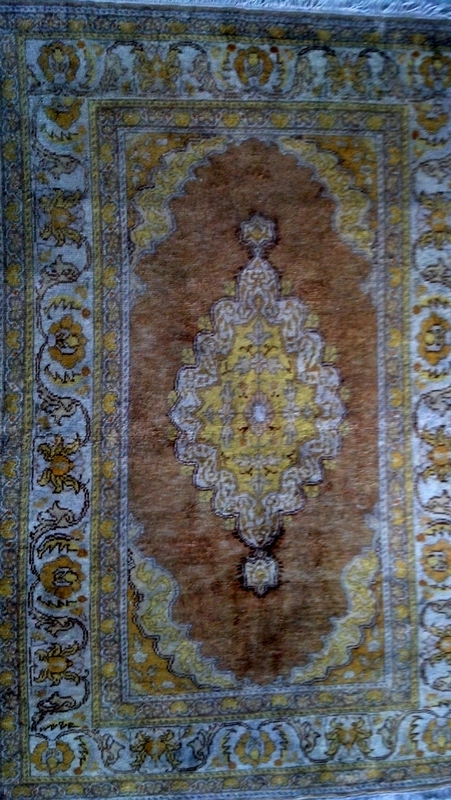 A room without an area rug is floating. By this I mean that the right area rug will ground the space and tie everything together. When designing a space we want to make sure that the weight of the room is on the bottom. 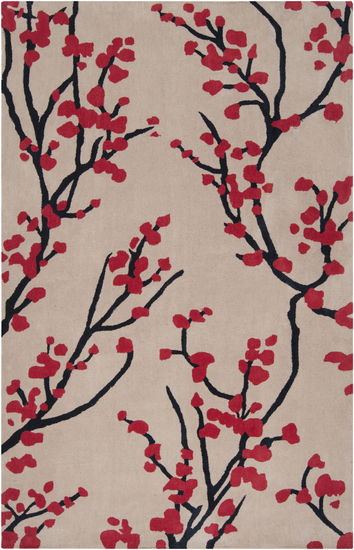 If you have a large painting on the wall and no area rug the room will feel top heavy and not grounded. 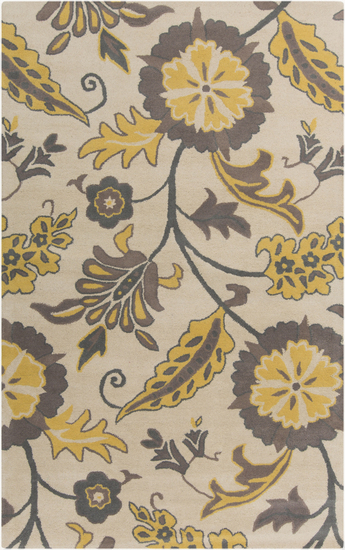 The other great thing about area rugs is that you can mix styles with them and bring in color to the space. 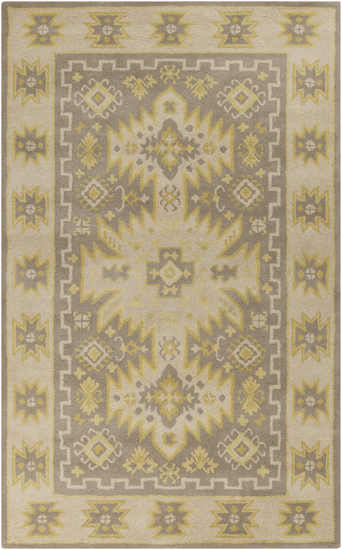 I love putting a traditional area rug with contemporary furnishings. This juxtaposition adds such depth and feeling to the space. 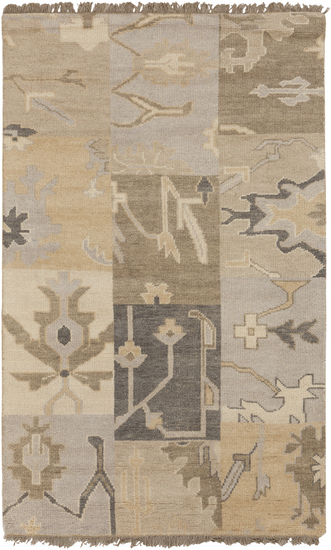 Here are some of my favorite new area rugs that we are putting in our clients homes. These must have will tie your space together and complete the home. The right pieces make all the difference. Hi you have a nice website over here! Thanks for posting this interesting information for us! If you keep up the good work I’ll visit your site again. Thanks! Thank you. I am enjoying sharing my knowledge about design.